There is a housing shortage in the Toronto market right now, which has caused home prices and rental rates to skyrocket. Thankfully, some people have found a practical solution to this problem. Prefab laneway homes are structures that can be built on existing lots, making them an efficient way to introduce more housing options into the area. 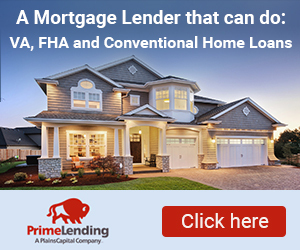 If you're curious about these homes and would like to learn more, you'll find the answers to many of your questions below. As mentioned above, laneway houses are homes that are built on a lot that already houses another property. For example, a laneway house might be built in the backyard of a home, or in an alleyway. Because these homes are built on existing space, they are usually smaller than a standard home. In spite of their small size, laneway houses come in many different sizes and styles. In 2013, Vancouver passed legislation that made it easy to build single-story properties. However, in many parts of Canada, building a multi-level laneway structure is also an option. These homes have helped to increase urban density in many Canadian neighbourhoods without requiring existing homes to be torn down. What Are Prefab Laneway Homes? 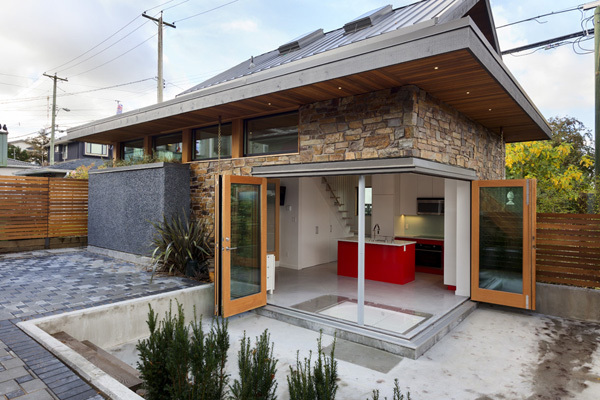 A prefab laneway house is a home that is prefabricated on an outside site before the home is built. The pieces are then shipped out so that the home can be assembled. Prefabricated houses tend to be very affordable, making them an appealing option for people that are interested in building these structures on their property. Some companies sell house kits which provide people with everything they need to build a laneway home. While these kits aren't necessarily designed with laymen in mind, they are created to be simple and efficient. They're an excellent option for anyone that is interested in laneway homes. How Do People Use Laneway Homes? Once these structures are built, they can be used in many different ways. It's very common for people to have their extended family move into a laneway house on their property. This allows people to spend more time with their loved ones while allowing everyone involved to maintain their independence. It's also common to see people use these houses as rental units. Rental rates in Toronto are fairly high right now, and a laneway structure can be an excellent stream of revenue. Building a laneway home on a lot can increase the value of that property. If someone buys that property in the future, they won't just be purchasing a house; they will be receiving two properties. Some people opt to build these houses so that they can build home equity. They can be a wonderful way to increase the saleability of a property. Building these structures can help everyone in a community. When there is more housing available, rental rates and home properties will drop, which will make it easier to find affordable housing. These properties can also make neighborhoods safer. When there are houses looking out into the lane, there are always watchful eyes around to prevent crime. Beyond that, these structures are environmentally friendly. Since these homes tend to be small, they are very energy efficient. Many of these homes also include green-build features, such as solar panels and energy efficient heating system. It's clear that laneway structures have a lot of advantages to offer. What Are The Benefits Of Prefab Homes? Why choose a prefabricated laneway house? The biggest perk you get to enjoy is the lowered cost. A prefabricated home can be very inexpensive. You won't have to pick out housing plans, and you won't have to source your materials. You'll be able to control your spending and get everything that you need for your house. Even though prefab homes have already been designed, you'll find that there are plenty of options to choose from. You'll also be able to customize your home in a number of ways. For example, you should be able to select things like your flooring and your countertops. Even if you choose a prefab home, you'll be able to make your property feel like your own. What Are The Drawbacks To Laneway Homes? Living in a laneway house can definitely be noisy. Since a lot of these homes face out towards lanes, where people leave their garbage, you could wind up being disturbed by people when they take out the trash. Living in a smaller space may also require you to make some sacrifices. Even if you build a multi-story structure, it's likely that your upper level will be small and cramped. Thankfully, there are ways to get around some of these disadvantages. Consider the noise and other potential problems when choosing a location for the home. If it's possible to have the house face a side street rather than the lane, you should opt for that. You should also select a design that uses its space in an efficient way. What Are The Drawback To Prefabricated Homes? The cons to living in a prefab home will vary based on the home that you choose. Since the quality of these properties is dependent on the manufacturer, it's important to research your options carefully before you buy a kit. You'll need to make sure that your home is made from top-grade materials, and you'll need to make sure you have everything you need to build your house. Beyond that, one of the drawbacks is that you'll still have to build your home. If you don't have experience in this area, you're going to want to work with contractors that you can trust to put together your home for you. Prefab laneway houses are a sensation in Canada, and it's easy to see why. These structures have helped to address the housing shortage in a creative and appealing way. As these structures become more and more popular, it's likely that laneway houses will become increasingly common. It won't be long before you see one in every lane.